Thrash Metal is all about speed, power and aggression. While Thrash fans like nothing more than to see our bands push themselves to the limit, sometimes it gets to the point where blinding speed becomes plain ridiculous and listening to Reign In Blood can leave you with the feeling that the whole thing is about to fall apart at any second; a plus point to some but also a bugbear to many. A prime example of this is the guitar work of Kerry King and tbe sadly departed Jeff Hanneman, arguably author of Slayer’s greatest tracks. At times the duo play at frankly ridiculous speeds and their solos on tracks such as “Piece By Piece” and “Necrophobic” amount to a screaming blur of notes that at times sound less like solos and more like a whiny Jack Russell receiving a well aimed boot to the knackers. That leads us on to Tom Araya. We can all agree there are few more thrilling sounds than his throat lacerating scream that opens “Angel Of Death”, however this album is hardly home to his finest vocal performance. His lines are delivered at such speed on the likes of “Postmortem” and “Reborn” that he had – and still has – issues with performing them live, fortunately his vocals were much improved on Seasons Of The Abyss when some much needed melody was added. Even Dave Lombardo – one of Thrash Metal’s finest sticks-men – at times sounds like he’s about to fall off his drum stool from the sheer exertion of it all, especially when his double bass really kicks in towards the end of “Angel Of Death”. 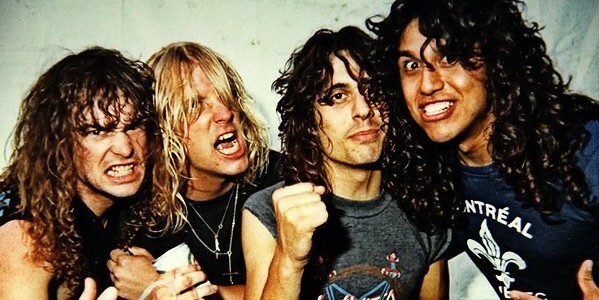 Given time the band would refine their sound and Slayer have put in far superior performances on albums that deserve to be held in as high esteem as Reign In Blood.